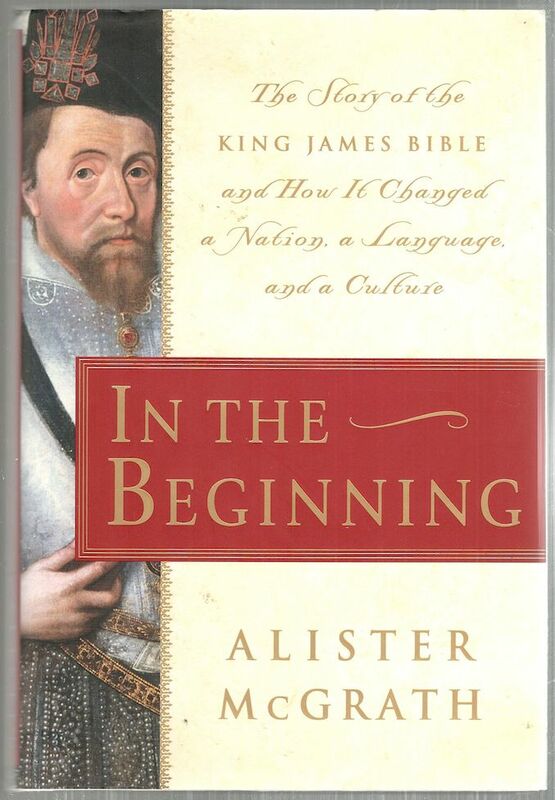 Alister McGrath, In the Beginning: The Story of the King James Bible and How It Changes a Nation, A Language, and a Culture (2001: New York: Anchor, 2002). 338 pages, a few illustrations, list of sources and an index. While I do not think this book lives up to its subtitle, I thoroughly enjoyed and highly recommend it. Dealing with how the King James Bible changed a nation, language and culture was briefly covered in the last two chapters. McGrath goes into much more detail in the events leading up to the publication of the King James Bible. First was the impact of the Renaissance and the development of the printing press. Then there was the influence of the Reformation and the need for Bibles in the vernacular (the language of the people). Finally, there was the English Reformation and all its political turmoil. McGrath covers these broad topics masterfully as he sets the stage for the King James translation. Prior to the publication of the King James Bible, there was the Geneva Bible. This was an English translation produced by a group of English Protestant in exile during the reign of Mary Tudor. This was the Bible of Shakespeare and the Pilgrims and those who settled the Massachusetts Bay Colony. This Bible included textual notes reflective of Calvin’s Geneva, including the political views of a republic. The notes in the Geneva Bible were seen as problematic by both the Church of England and the monarchy, for they acknowledged the rights of subjects to revolt against ungodly kings and bishops. The established church attempted to overcome the Geneva Bible with the publication of the “Bishops’ Bible,” but the Geneva Bible took hold. By the late 1560s, it was being printed in Scotland, and despite attempts to suppress the Bible, it remained the most popular Bible in England for a century. Queen Elizabeth assumed the throne after Mary Tudor. As a Protestant, her long reign helped solidify the religious standing of England. However, during her reign, the Puritan movement challenged the established church. The Puritans were closely aligned to the Scottish Presbyterians. When James became king, having served as King of Scotland, it was felt he would be more open to the Puritan cause. But James feared the Puritans and hated the notes found within the Geneva Bible, viewing them as a threat to his divine rights as king. With a rise of religious tension, James called for a meeting of religious leaders at Hampton Court. There, the decision to authorize a new publication of the Bible was suggested by John Reynolds. Ironically, Reynolds was a Puritan leader. Richard Bancroft, the bishop of London and an adherent opponent of both Puritanism and Catholicism, oversaw the translation. The Bible was divided up into six parts, with a team of people working on each section. There were two teams each from Cambridge, Oxford and Westminster. Bancroft provided a set of rules for the translation teams that encouraged the translators to give favor to the Bishops’ Bible over other translations. However, they were allowed to consult other translations including the Geneva Bible if they felt the textual reading wasn’t correct. By drawing on these older texts, some of the language within this new translation had already become obsolete within the English language. Interestingly, when the King James Bible was first published in 1611, it wasn’t a big hit. For the next fifty years, the Geneva Bible continued to dominate the English speaking world. Even some of the translators of the King James Bible continued to use the Geneva Bible. With no money provided for production cost and only one printer with a monopoly for publishing the Bible, its price remained high. Cheaper Bibles were available and being published on the continent. The popularity of the Geneva Bible notes remained so great that there were even King James Bibles published which included the Geneva notes. After James’ death, his son, Charles I, became king. Charles, along with Bishop Laud, began a battle against the Geneva Bible, which was a part of the political maneuvering leading up to the English Revolution. It wasn’t until after the Revolution and the restoration of the monarchy that the King James Bible was widely received. After the Revolution, all things Puritan, including the Geneva Bible, were shunned. McGrath notes that England quickly dropped all things Puritan in a way similar to how quickly Germany dropped Nazism at the end of the Second World War. By the 19th Century, the King James Bible reigned supreme within the English world. Most homes in the English speaking world had a copy. It influenced literature and culture, as McGrath briefly demonstrates. Interestingly, the English language was in flux in the 17th Century, when the King James Bible was being created. As the Bible drew on older English translations, it helped keep alive some traditions that were falling out of use (such as the –eth endings). There are also a number of words that are found in the translation that would change their meaning, increasing the need seen for a new translation after World War I. This is a fascinating book and I recommend it. McGrath does a good job explaining one of the mysteries separating Protestants and Catholics. Protestants add the “Doxology” at the end of the Lord’s Prayer (which is omitted by the Catholics). The line, “For thine is the kingdom, and the power, and the glory, for ever,” was in the Greek Matthew text used for the translators. Today, it is widely accepted that the older manuscripts didn’t contain this line and in most modern translations it is not included. But the line was included in the Prayer Books and have become the way Protestants say the Lord’s Prayer. Although the translators were working with manuscripts no older than the 10th Century, and though were not trying to create a poetic language, but a Bible to be read in worship, the translation is still considered very good and its language is beautiful. While much more could be written about the influence of the King James Bible, the history of it deserves to be told and McGrath does a fine job telling its story. The history appeals to me more than the influence anyway, so I think this will have to go on my wish list. I think as Christians we need to reassess. The KJV, and others are the product of a destructive war 400 years ago, that is still being plaid out with the result of mutual obliteration with all the churches becoming little more than aging organisms. We need to look beyond the trite to a real view of history after the Great Schism. We need to look truly at where the Puritan’s came from in England, and Scotland. We really need a clear cut understanding of just why the towns in the Low Countries were so darn central not just to the Reformation, but to the Renaissance and business. We need to see who the ancestors of the people active in 1640 were. You know my contention that the remnants of the Celtic Church stayed in the high and wild places of Switzerland, Scotland and Ireland. And with the native populations of those areas. This church was ALWAYS of the book. You can see it in the efforts made to learn Greek in the 9th century by a young scholar of Irish extraction who moved to St Gallen. 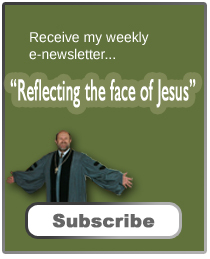 Indeed I would contend unless the Christian churches move nearer to the core message, and if not necessarily unity, then a unity of realisation that the games they are playing is destroying the message of Jesus. Great review, Jeff, and a bit timely for me as I am in the middle of Eric Mataxas’ bio of Luther. It is raising a lot of questions for me. I’m also in agreement with Vince’s last comment.